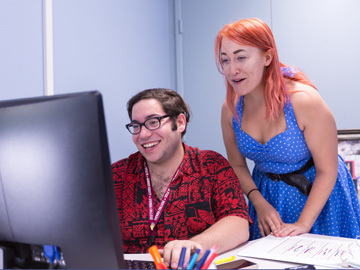 As part of ongoing efforts to serve historically marginalized and underrepresented students, Sierra College has implemented three distinct Student Engagement Centers to provide services to students facing challenges. The Cross-Cultural Center in K-1, the Pride Center in I-4, and the Women and Gender Resource Center in I-1A serve as dedicated spaces for students of all experiences to find a home away from home. The goals of these centers are to help increase equity on campus as well as student access, success, and completion of academic goals. Additionally, these centers provide leadership development training, student employment, and co-curricular programming. The Women and Gender Resource Center provide personal health supplies (tampons, pads, condoms, etc.) and toiletries free of charge. 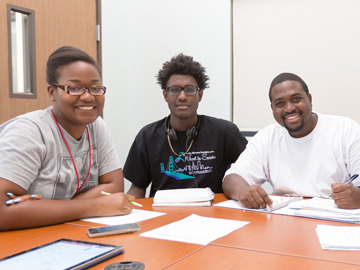 The Student Engagement Centers are not just for the communities which they are named after, but a network of resources for all students with a specific focus on groups that may face additional obstacles in academic success. The centers are open Monday through Thursday from 11:00 am to 5:00 pm and students are welcome to use them for a variety of purposes including student club meetings and study groups. This includes access to a number of enclosed study areas that may be reserved ahead of time. Our partnering programs are New Legacy, Gender Equity, Spectrum, Puente, Umoja and Native American Equity Workgroup. The Cross Cultural Center (CCC) is where people can submit room reservations for events, club meetings, study groups, and more. We have a Native American Resource Room, Puente program Room, an Umoja Community room, a reading room, conference room and a club room. One of the main purposes of the CCC is to provide a space for folk to feel safe and comfortable in a multicultural setting that is accepting and welcoming. Many different clubs often meet in here such as the Native American Club, Disability Awareness Club, Dream Club, and more. 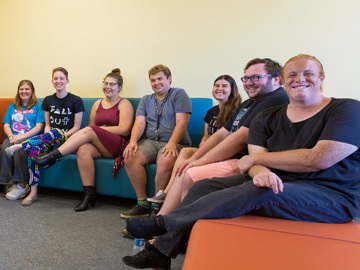 The Pride Center is where student-scholars can rest, do homework and socialize in a safe environment dedicated to the LGBTQ+ student-scholars can also check out books, magazines and films. The events held here revolve around supporting the LGBTQ+ community.